Meet little Clover! 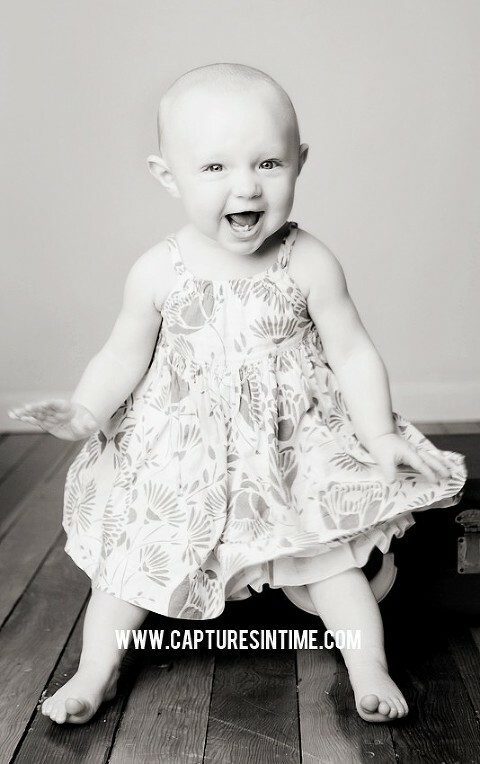 This is the second baby I have photographed for this adorable family of eight! I just love photographing this age, it is my favorite age in the first year to shoot in the studio. 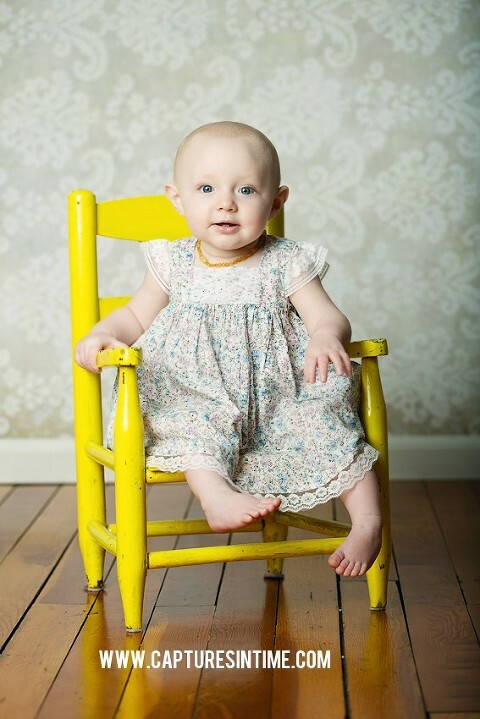 Mom and Grandma brought the most adorable dresses with them for her 6 month baby pictures in our studio, which is just 20 minutes from the downtown Kansas City area. Clover’s eyes are just the most vibrant blue! There was no Photoshop done on her eyes, I promise! They are all natural and just pop with some good light! She really got a kick out of sitting on my little vintage suitcase that I found on eBay. She played with the handle and never let her little feet touch the ground! I will note that mom is always very close by when we set the baby on a prop. Safety first! Mom preferred a natural look, so we didn’t use hats and headbands. Really, you can tell this little cutie is girly just by one look at her precious face. 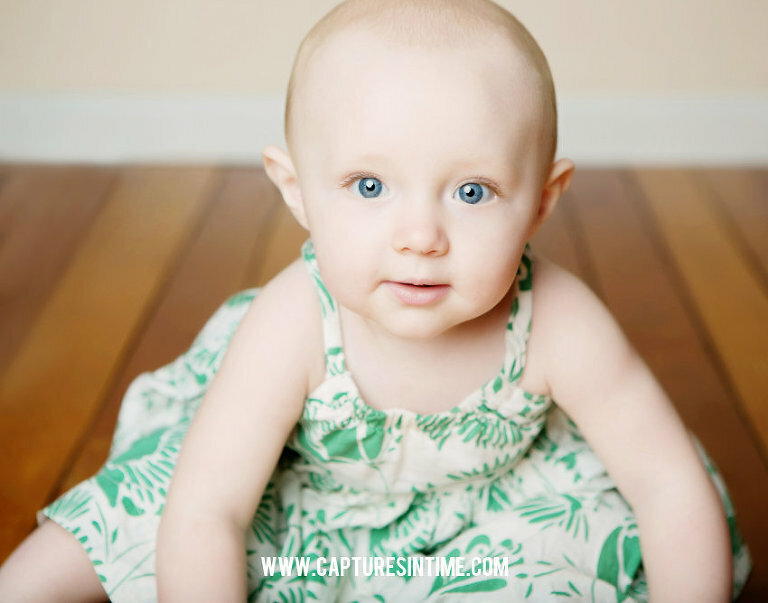 Something I love to do a baby sessions is not only to get some smiles but to get natural expressions as well. I even like expressions that are whimsical. I just love to try to encompass their personality into the session rather than to get lots and lots of cheesy smiles where their eyes close up and get all squinty. Babies are all unique and that should be celebrated! I choose a simple cream drop to go with her floral green dress. Because the second floral dress had a super tiny pattern, I went ahead and choose a cream damask to pair with it. I think it worked nicely with that pattern. The 6 month milestone is one that should be celebrated in images. By this time, the baby has doubled in their birth weight. They look so different from those first tiny days. Their eyes have even changed color. They are sitting up, pushing up on all fours and rolling over from their side. 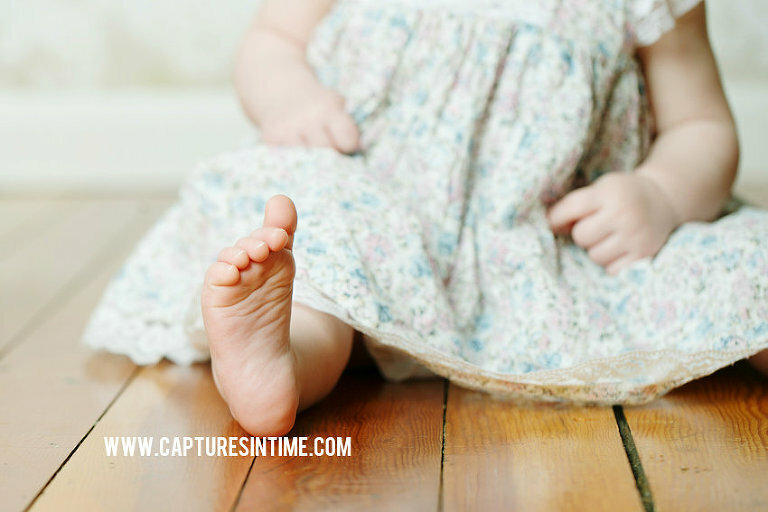 All of these things can be captured in a session so you can look back and treasure them forever. They laugh, they smile and do all of the fun stuff. If you are thinking about a session, see our pricing and booking page for details.